Lowell Wrestling | "It's not the will to win that matters...everyone has that. It's the will to prepare to win that matters." This entry was posted in Announcements and tagged 2018-19 Season on October 10, 2018 by coachwise. Lowell Wrestling will have its mandatory CIF Section weight assessment testing done on Saturday, Nov. 4, 8:00am. We will meet in the SOTA upper parking lot no later than 7:30 am on Nov. 4. PLEASE BE ON TIME! 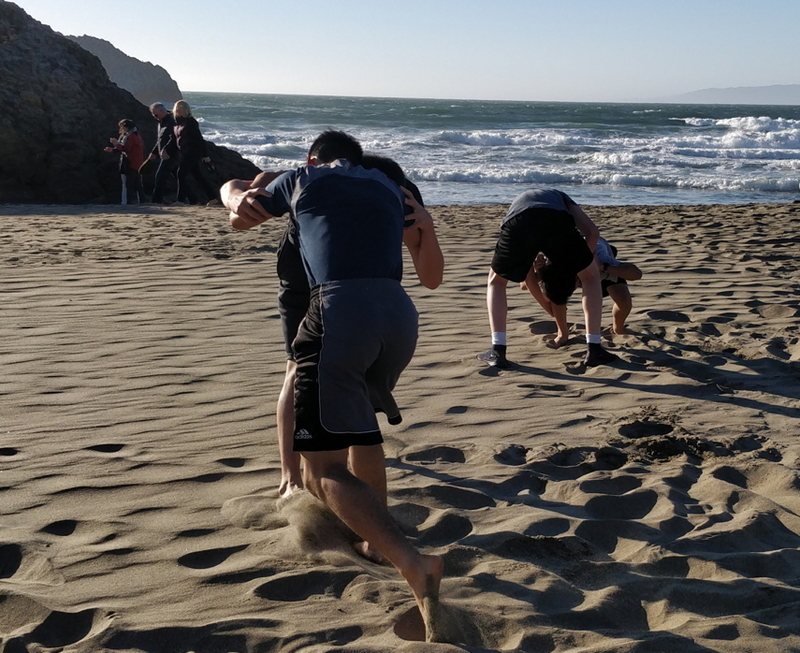 Weight assessments by CIF-recognized medical personnel* are MANDATORY for all high school wrestlers in the state of California. 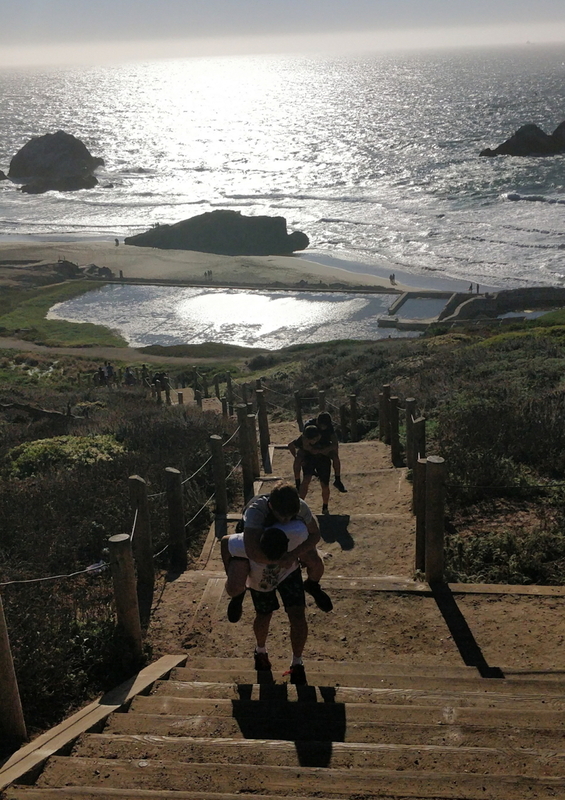 If you do not take it; you cannot compete in high school wrestling in California. There is a CIF Wrestling Weight Certification form in the Forms section of this site you need to download and print out. You need to fill it out both you and a parent/guardian must sign it. Return the signed form to me ASAP (no later than Wed., Nov. 1). Prior to taking the assessment, it’s important that you are well hydrated…meaning you have lots of water in your system. You should start drinking lots of water starting Friday (Nov. 3) after practice and continuing drinking water when you wake up early Saturday morning. Refrain from sodas and caffeinated drinks during this time. Your urine should look clear as water when you go in for your weight assessment. Please submit the signed weight management parent permission form to me no later than 6pm Wednesday, Nov. 1. The California Interscholastic Federation (CIF) is the governing body for all sanctioned high school athletics in the state. With respect to wrestling, CIF regulations state that male wrestlers may have no less than 7% and female wrestlers no less than 12% body fat to compete. These minimums are for your health safety. In past decades, some wrestlers reduced their weight to dangerously low body fat percentages in an effort to wrestle at a lighter weight class. This resulted in some hospitalizations and a couple fatalities within a few college programs. The weight assessment will determine your current body fat percentage. From that, your minimum wrestling weight on any given day as well as overall is determined. The maximum weight a wrestler may lose per week is 1.5% of their total body weight. They can keep losing 1.5% per week until their minimum wrestling weight is reached. Before your body fat percentage is determined, you must first have a certain water content percentage in your urine. This is to prevent people from gaming the system by sweating out weight before the test (making their weight artificially low). Therefor, all wrestlers will need to drink lots of water the night before and the morning of this test. * male and female medical staff from the UCSF PlaySafe Program will be conducting the urine gravity analyses and the weight assessments. This entry was posted in Announcements and tagged 2017-18 Season on October 16, 2017 by coachwise. The final week of pre-season conditioning is done…official practices begin Tuesday, Oct. 10. Let’s get ready to rumble! Thousands more of these to come! Clock is ticking. You spend more than 20 seconds in a tie w/o trying to score…you pay! This entry was posted in Announcements and tagged 2017-18 Season on October 8, 2017 by coachwise. Wrestling is one of the oldest sports on the planet and an original Olympic sport. 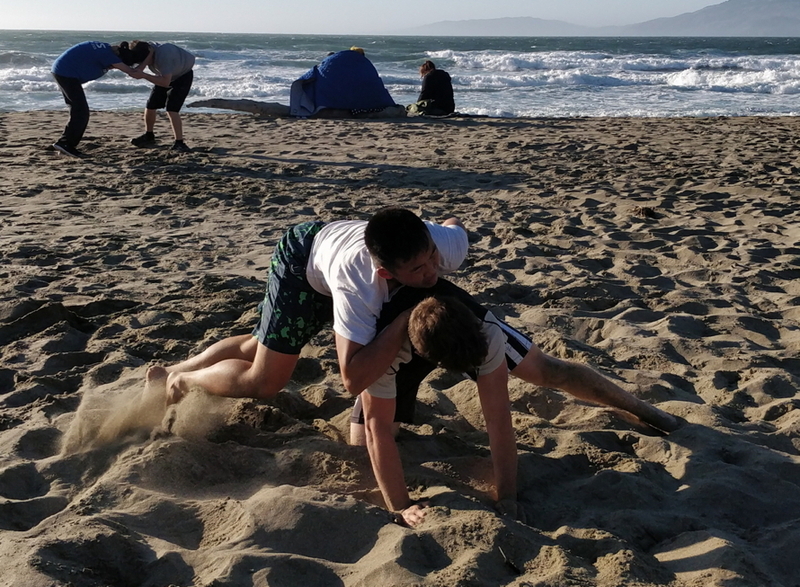 It is a combat sport where matches are done individually at tournaments as well as team competition dual meets. It doesn’t matter whether you are big or small or anywhere in between. There are 14 weight classes starting at 106 lbs (boys)/101 lbs (girls) and ending at 285 lbs (boys)/235 lbs (girls). It also doesn’t matter if you are stocky or lanky. There is no specific wrestling body type. There are no try-outs. If you come to practice and work hard in practice…you are on the team. We do not care if you’ve never done a sport or thought of yourself as an athlete. 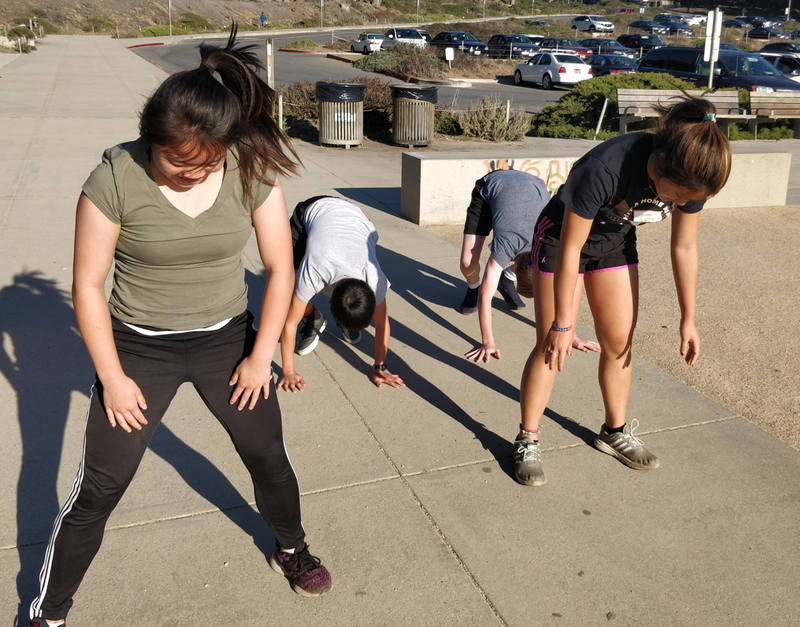 Our training is very physically demanding, and we have a team of coaches with state, national, and international-level competition experience to forge warriors out of any girl or boy with the determination, dedication, and will to be one. 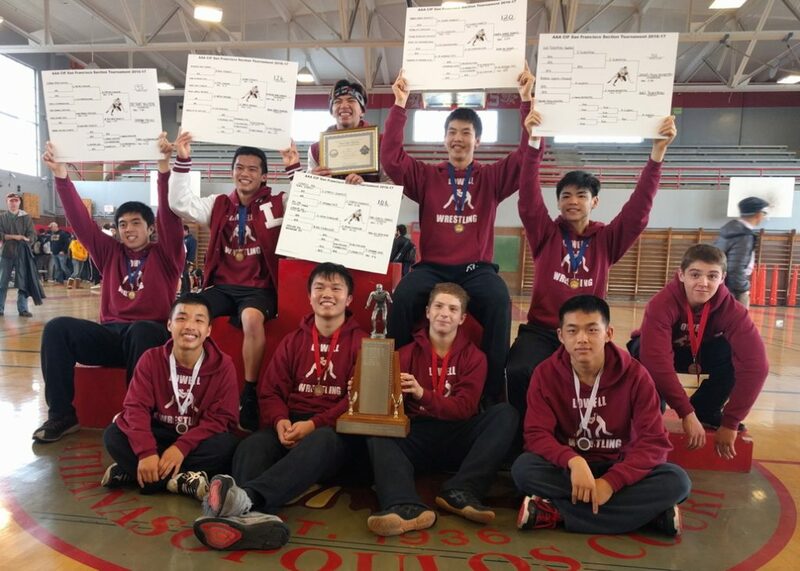 Lowell Wrestling is the reigning SF Section champion with a section record 31-1 over the last four years and over a dozen CIF State Championships qualifiers. We expect to have 20 returning wrestlers this season (13 boys and 7 girls) and hope to gain at least 15 new wrestlers. There are around 260,000 high school wrestlers competing at 11,000 high schools in the country. Girls wrestling THE fastest sport among female high school athletes in the country with a 169% growth in the last five years. If you are a football lineman, step right up. There are dozens of former high school and collegiate wrestlers playing in the NFL today. Official practices begin on Tuesday, October 10. This entry was posted in Announcements and tagged 2017-18 Season on August 23, 2017 by coachwise. Lowell – 2017 SF Section Champions!! Lowell Wrestling ended its regular season competition today sending 11 wrestlers to the SF Section championships (AKA All City). We brought home the SF Section champion trophy, five section champions, and ten individual medals. We medaled 10 of our 11 wrestlers and sent 8 into the finals. Individually we had: five 1st place, three 2nd place, and two 3rd place finishes. This strong performance propelled us to a solid first place team finish of 165 points which was 37 team points ahead of the second place team. This was despite the fact that we entered the tournament not having wrestlers in three weight classes. The five Lowell SF Section champions will now compete at the toughest state wrestling tournament in the country (the CIF State Wrestling Championships) in Bakersfield, Calif. March 3-4. Unlike state wrestling championships in other states for California state championships for other sports; there is no div 1, 2, etc. separation. The CIF State Wrestling championships is “open” with the 40 best wrestlers in the state at each weight class from schools big and small across California competing. We have been training for and look forward to the challenge. This entry was posted in Announcements and tagged 2016-17 Season on February 18, 2017 by coachwise. 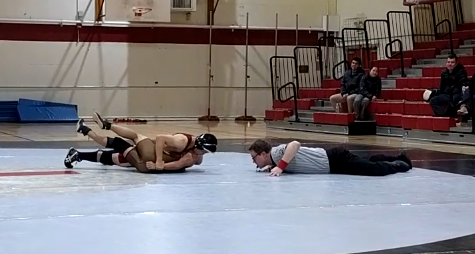 Lowell capped off its regular undefeated season competition with a dual tonight against Mission winning 80% of its matches and securing a 46-18 team victory. This makes for another undefeated season for Lowell, and we outscored our opponents 289-117. Still, our sights are set on the SF Section championship tournament (AKA “All City”) next Saturday, Feb. 18 at Washington. The team winner of that tournament earns the section title. 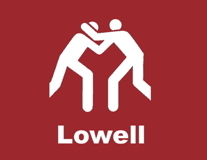 Lowell will be missing 2-3 weight classes, so the 11-12 Lowell wrestlers competing are really going to have to step it up to bring home the trophy. The individual weight class winners of All City will advance to unquestionably the toughest state wrestling championship in the country: the CIF State Wrestling Championships in Bakersfield March 3-4. This entry was posted in Announcements and tagged 2016-17 Season on February 8, 2017 by coachwise. 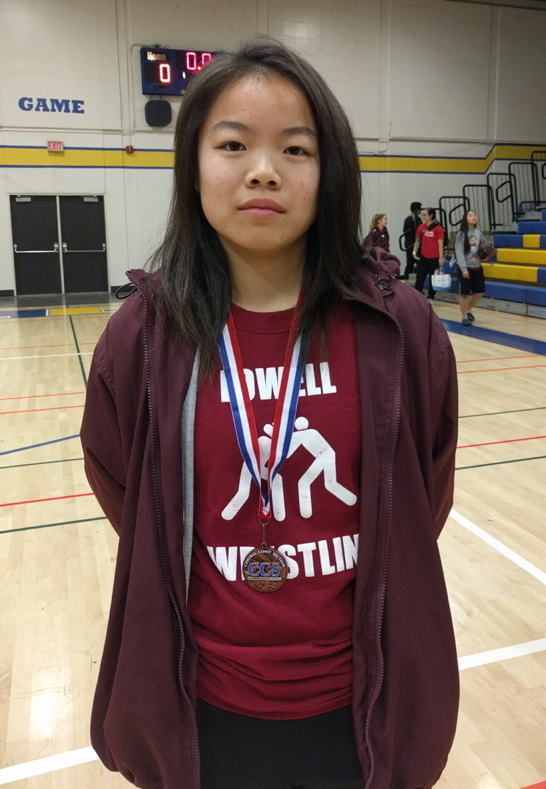 Six Lowell girl wrestlers competed in the 2017 Central Coast Section Girls Wrestling Championships at Oak Grove HS in San Jose last Friday and Saturday. Brittney Dare took the 4th place medal and Anne Chamberlain placed 6th. Lowell placed 13th out of 75 CCS schools. The CCS championships are the state qualifier all SF Section girl wrestlers must compete in to qualify for the state championships. 75 CCS schools from Daly City to King City compete with the top three finishers in each weight class advancing to the state championships. Despite injuries preventing three of our nine girl wrestlers from competing, we still fought our way through with five of six Lowell girls making it to the second day and finishing with a 13th place team finish. In two days time the Lowell girls wrestled 30 matches. Brittney Dare, who came into the tournament unseeded, wrestling at 111 lbs went 5-2 putting on a very strong performance racking up four pins and a decision to take 4th place. Anne Chamberlain (senior), who was also unseeded, finished sixth. Eighty-four hard practices and thirteen competitons later…a hand salute to the Lowell girl wrestlers who started pre-season conditioning at the end of August, have been practicing hard six days a week for three months taking only Thanksgiving, Christmas Eve, and Christmas off and who competed in 11 tournaments and two dual meets. This is why we finished in the top 20% of CCS teams with half a squad and half of them being first year wrestlers. This entry was posted in Announcements and tagged 2016-17 Season, Girls on February 7, 2017 by coachwise. In our fifth section dual of the season, we squared off with Washington tonight in the Lowell gym. We won the dual by a score of 45-11 and advanced our section record to 5-0. Washington had a relatively sparse line-up due to injuries and such, but they did give us six matches with Lowell winning four of those six. We have just one more dual left next Wednesday at Lowell against Mission. We have trained to be undefeated in team duals and are one win away from that. 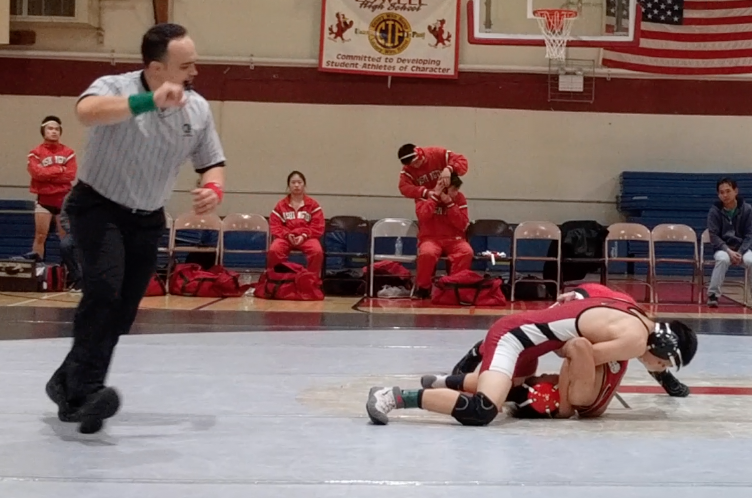 However, what matters far more is winning the SF Section tournament championship (aka All City) on Saturday, Feb. 18, and in the process, have at least five tournament champions to qualify for the CIF State Championships in Bakersfield March 3-4. Our girls will be traveling to Oak Grove HS in San Jose this Friday to compete in the CCS championships. There, they will be competing against 75 CCS schools from Daly City to King City to earn a berth in the CIF Girls State Championships in Visalia Feb. 24-25. This entry was posted in Announcements and tagged 2016-17 Season on February 1, 2017 by coachwise.